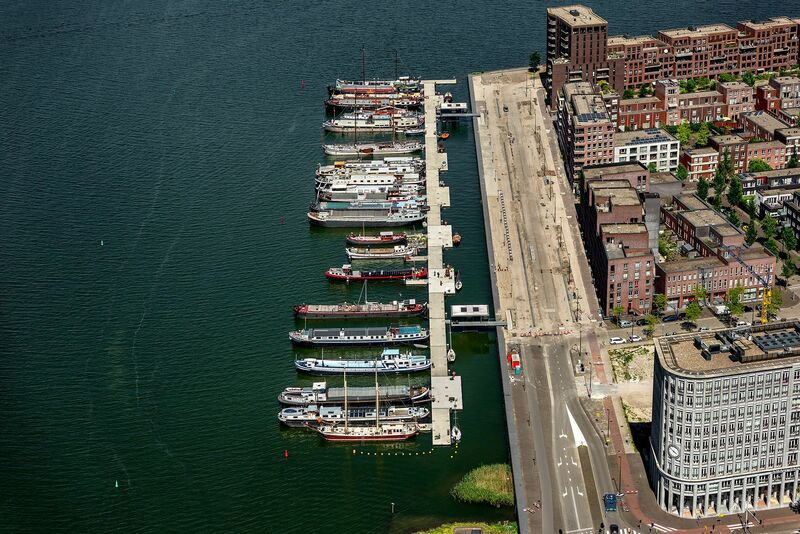 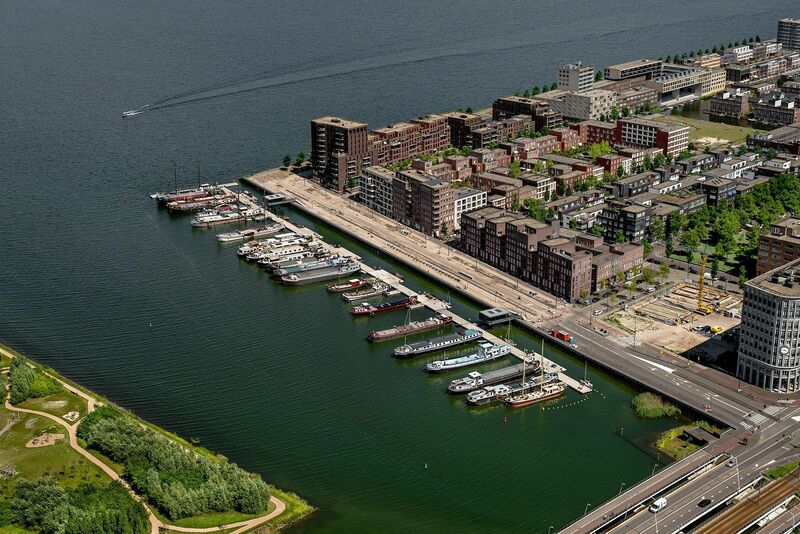 The floating harbour at Cas Oorthuyskade in Amsterdam serves as the new front to the Haveneiland (Harbour Island), highlighting the nautical feel of the IJburg part of the city. 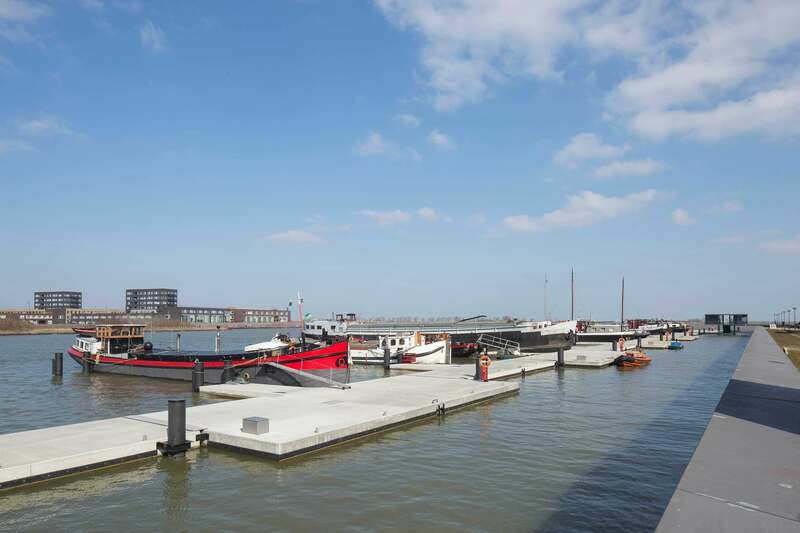 Outside the main dike area, this harbour (340 x 60 m) consists of a floating concrete jetty 340 m in length, a breakwater to the IJmeer and two entrance buildings that act as beacons for the harbour. 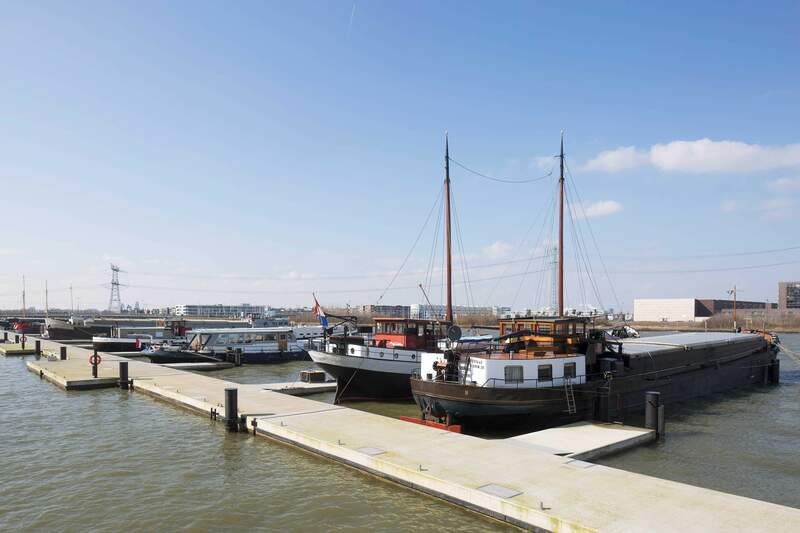 Adjacent to the jetty there are 34 leasehold water-based plots for independent floating houseboats (maximum size 40 x 6.6 m). 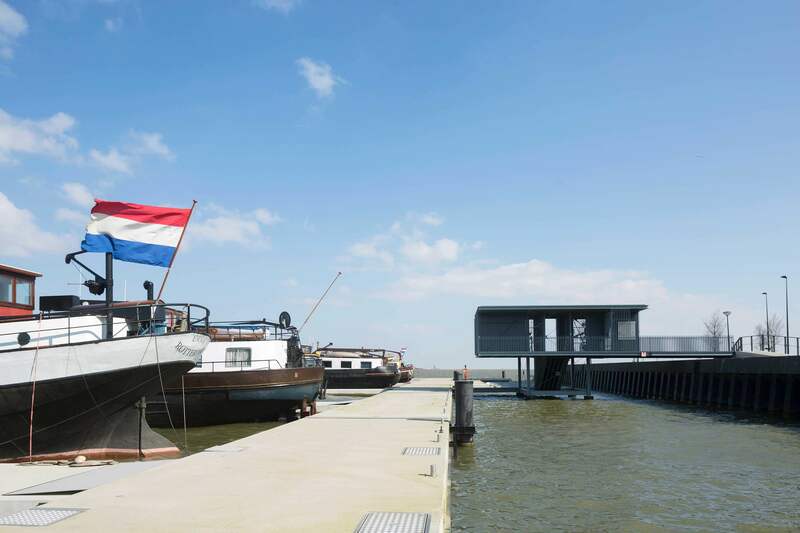 The floating jetties, the breakwater and the entrance buildings (with entrance gate, intercom, meter box and bicycle storage facilities) are the property of the Owners’ Association. 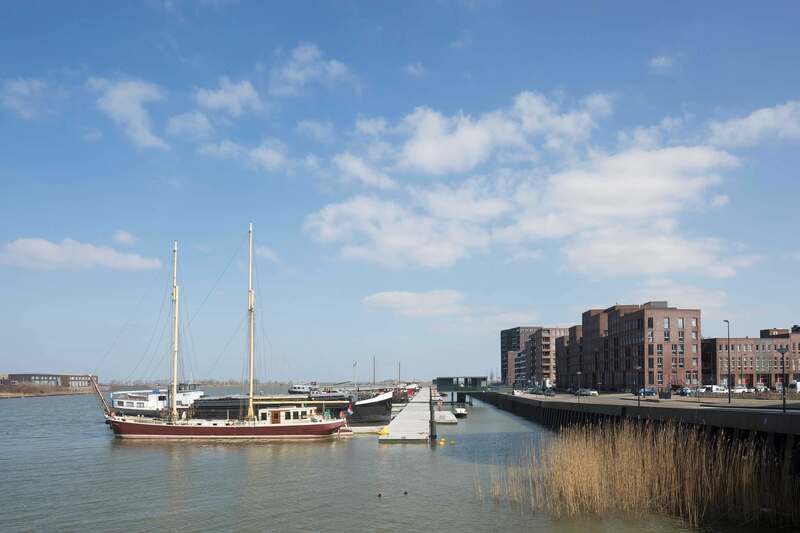 Each individual plot has its own water supply, sewage facilities, electricity and glass-fibre connections.